Quite often I see Hawk's in Caledon, they are territorial and usually stay in certain areas so after a while you know where to find them. However getting good pictures of them even with a big zoom lens is often a challenge. You may see them on the sides of the roads, sitting on power lines or dormant trees looking down into the fields, they for the most part ignore the traffic of cars focusing only on finding their prey. Unfortunately they don't stay still for long, if you happen to stop for a picture you literally have a second or two at most before they see you and take off. So quite often in order to get a good hawk photo you need to stalk them, sneak up on them when they are looking the other way or like my other close-up photo stop in the middle lane of highway 50 and shoot from inside the car. 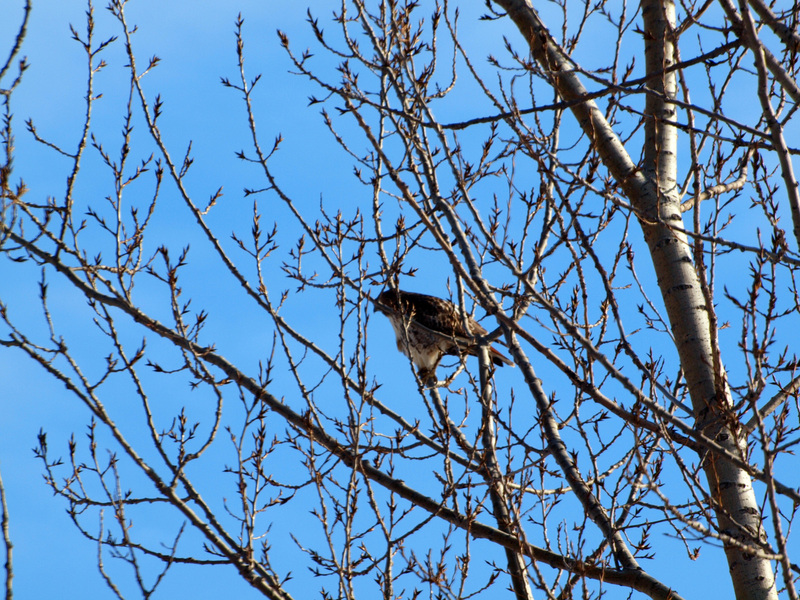 This particular red-tailed hawk I followed from tree to tree for a few minutes, seeing me as a threat he would keep flying away to another spot but generally would still stay in the same area. Click on the above and below photos for larger pictures. 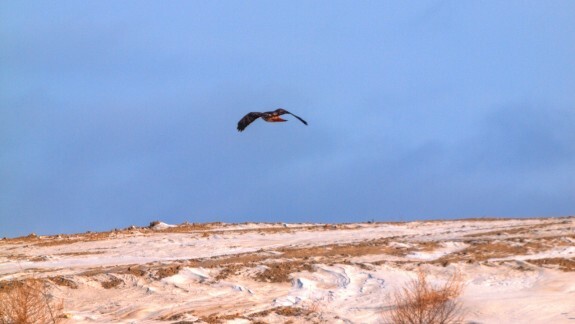 Posted: January 10th, 2010 under Caledon, Photos, Wildlife.